With a focus on providing our customers with access to the most technologically advanced solutions to securing their premises and possessions, GGL Security is recognized as the leading provider of monitoring services in Ireland. GGL operates a 24 x 7 fully Private Security Authority licensed and certified International Monitoring Centre from our base in Limerick. It was first opened in 2008, then upgraded and re-launched in 2010 by the Irish Minister for Defence after an investment of €2million. At GGL, our goal is to provide our customers with peace of mind. 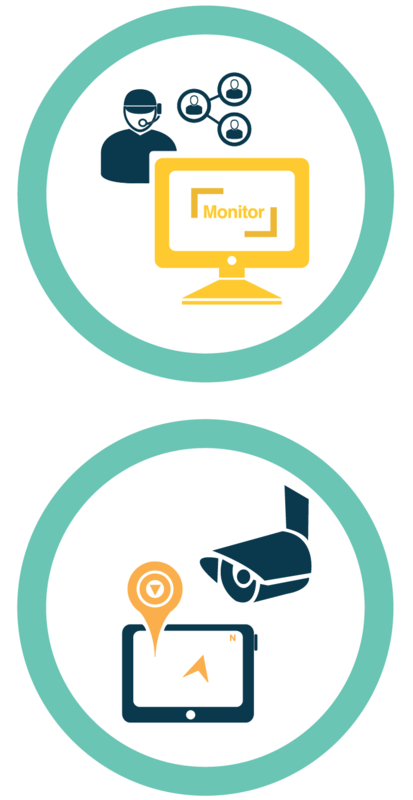 By ensuring that our customers’ premises and assets are monitored to the highest standards possible, it leaves our customers free to focus on their core business and their customers. GGL also offers an integrated monitoring, patrol and response service, which means your premises are safeguarded 24/7 by our expert fully licensed monitoring staff and highly-trained patrol team. GGL Security specializes in providing security solutions to the Supply Chain Industry, providing end-to-end solutions for goods in transit. Our programs are tailored to meet our customers’ needs using our specialist knowledge and intelligence to identify secure delivery routes. GGL Security is licensed by the PSA (Private Security Authority) [PSA no. 05133] and certified to NSAI (National Standards Authority of Ireland) and EQA standards, ensuring our solutions work in full compliance with the highest standards and legislation in the industry. In line with this commitment, GGL’s monitoring centre operatives are all fully PSA licensed and Garda vetted even though this is not yet a PSA requirement.